Galileo K-12 Online includes over a thousand Instructional Dialogs in reading/language arts, mathematics, and science available to teachers for use in instruction. 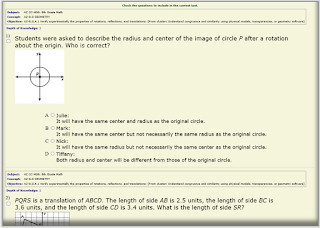 Galileo Instructional Dialogs are customizable, interactive, online instructional lessons. They are aligned to standards and designed to increase standards mastery and assessment skills, particularly those associated with technology enhanced items. The latter is true because Instructional Dialogs provide a safe environment in which students can gain experience with technology-enhanced forms of assessment similar to those they can expect to encounter on the statewide assessments. modify existing Instructional Dialogs to tailor them to their goals and students' needs. 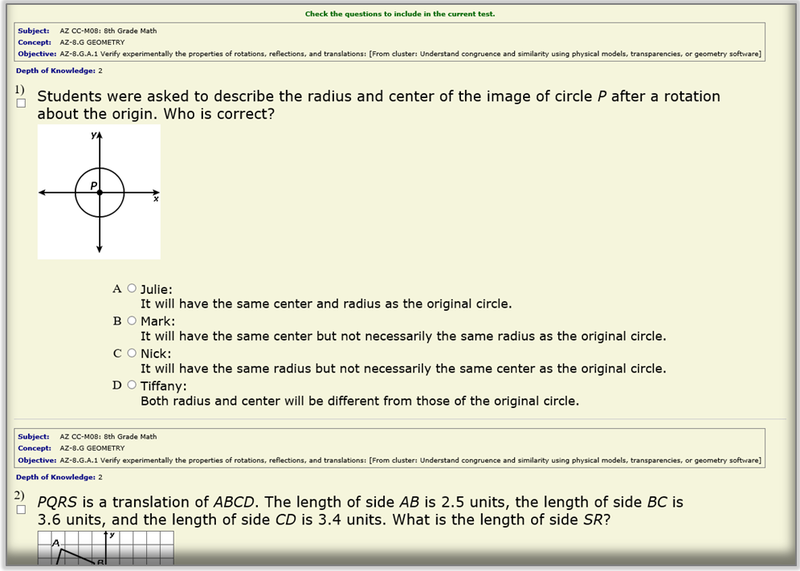 Instructional Dialogs built by one teacher can be shared with other teachers through Galileo. Instructional Dialogs can also be assigned to individual students, entire classes, or district-wide. The flexible nature of Instructional Dialogs enables teachers to use them as a presentation-style lesson in front of the entire class, as a student-focused task in a lab or one-to-one computer resourced classroom, or even as an assignment outside of class for students with Internet access. Join us January 25 at 2:00 pm EST for a brief overview of the Galileo comprehensive assessment system. Register now for the ATI webinar: Seeing the Big Picture with Galileo’s Comprehensive Assessment System. Assessment Technology, Incorporated will be updating our version of the Arizona Civics test, available in Galileo K-12 Online, effective the morning of January 20, 2017. This updated version will reflect all changes in elected officials representing the State of Arizona and national offices. If your district is planning to administer the updated test in Spring 2017, please contact Education Management Services or your Field Service Coordinator to request the updated version of the test as versions already in district libraries contain outdated information. The flexible Digital Curriculum Platform within Galileo K-12 is now available to all clients at no additional charge. The platform delivers easy-to-use tools for educators seeking to incorporate existing curriculums and lessons, develop new curriculum and lesson plan content, and share and modify curriculums and lessons online. In late February, the platform will also contain the EngageNY curriculum and curriculum resources in K-12 English Language Arts and Mathematics. For all curriculums, the platform offers a seamless, integrated approach to the delivery of differentiated, interactive instruction and assessment of student learning. 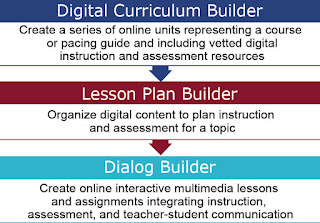 The cost-effective Digital Curriculum Platform enables delivery of up-to-date curriculums. 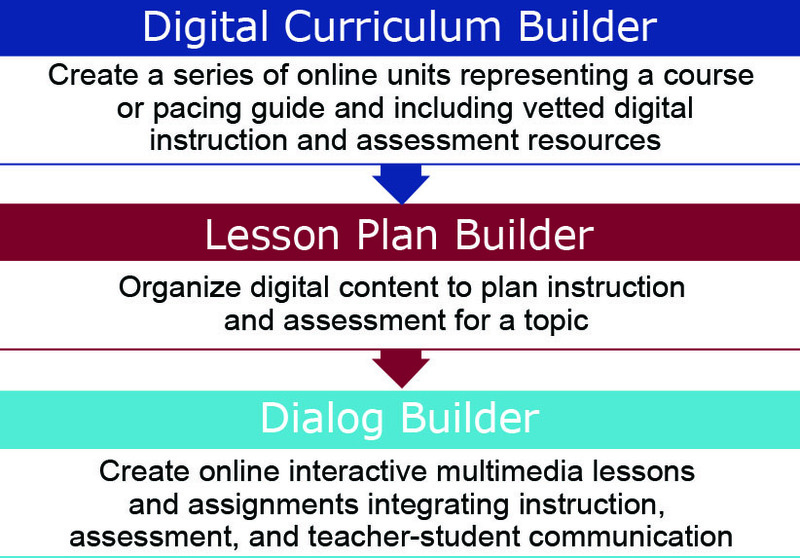 The platform includes curriculum builder tools supporting the inclusion of multimedia instructional content within courses, units, lessons and activities. Data from integrated purposeful assessment of student learning is available to inform decisions regarding the next instructional offerings and possible modifications of the curriculum itself. The platform also enables searching for and scheduling popular instructional resources including those from KHAN ACADEMY®*, LearnZillion and ATI prebuilt Instructional Dialogs. Learn more about the various Galileo Digital Curriculum Platform benefits. Access and use EngageNY curriculum and curriculum resources in units and lessons beginning in late February 2017. Watch for more updates as platform expansions are in the planning stages. Contact your Field Services Coordinator to find out how your district can get started using the Galileo Digital Curriculum Platform. The formative assessment component of Galileo K-12 plays a critical role in documenting student learning, evaluating curriculum effectiveness, and supporting differentiated instruction. In addition to containing formative assessments for most standards, Galileo includes multiple assessment creation interfaces designed for the classroom teacher. These interfaces make it easy to select items from the Galileo Community Item Bank or from District-created item banks to build multiple formative assessments aligned to the state blueprint and/or reflecting the district curriculum. In addition, the Inspect® item bank developed by Key Data Systems is available through Galileo for use in formative assessments. We understand flexibility is important so we’ve made it possible to copy and edit the Items from the Galileo community banks to produce desired modifications for formative assessments. Formative assessments developed using Galileo may be administered both offline or online. Online assessments can be built directly into online Instructional Dialog lessons and assignments making it possible to assess what is learned and guide learning by providing immediate feedback during the learning process. Search for items by standard using the Galileo Search Item Bank tool. Users may access formative bank items aligned with a desired standard using the Search Item Bank tool. The Search Item Bank tool allows the user to search the formative item bank based on the selection of a standard, view the resulting items, and easily include the desired questions on a formative assessment. The shot above shows a sample of the display that is produced when a search is completed. Learn more about flexible tools for creating formative assessment in Galileo by contacting our Field Services Coordinators.